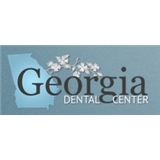 Georgia Dental Center (Decatur) - Book Appointment Online! The goal of our practice is to earn your family’s confidence and trust by providing quality care. We believe that lifelong dental health is possible through the collaboration of dentist and patient – it’s why we’re committed to building a professional relationship with each of our patients. Led by Thomas J. Price, DDS, MAGD, the experienced team at Georgia Dental Center is apprised of the latest techniques in dentistry care and practiced in creating a safe, comfortable environment for each patient. We work to create and maintain a beautiful, healthy smile for each patient, customizing our approach and our treatments to account for any and all concerns and goals he or she may have.